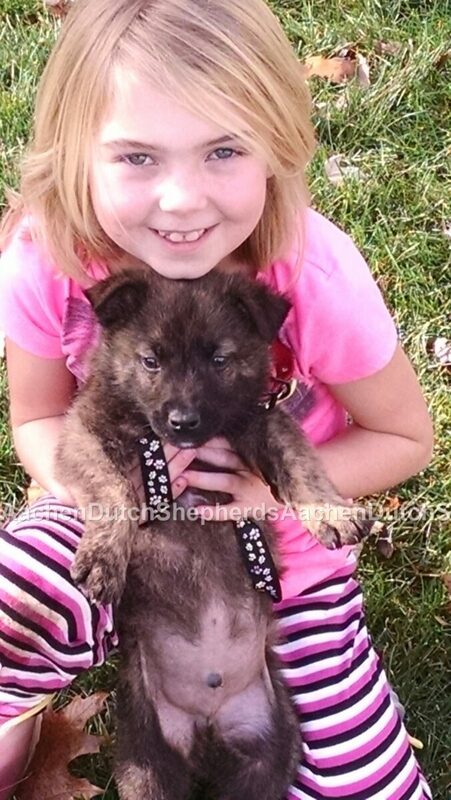 WE HAVE PUPPIES READY FOR YOUR HOME TODAY! 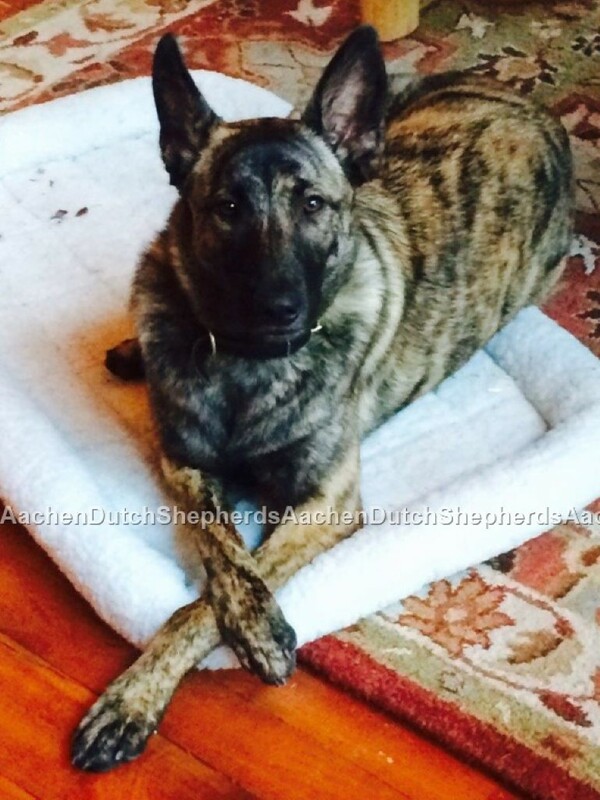 in the FIRST book written about the Dutch Shepherd! Read about us in the Chapter devoted to reputable breeder and who to get your Dutch from~we are the first one listed of only two in the USA written about! 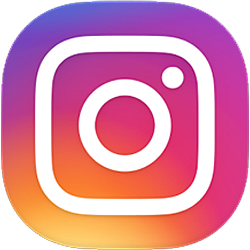 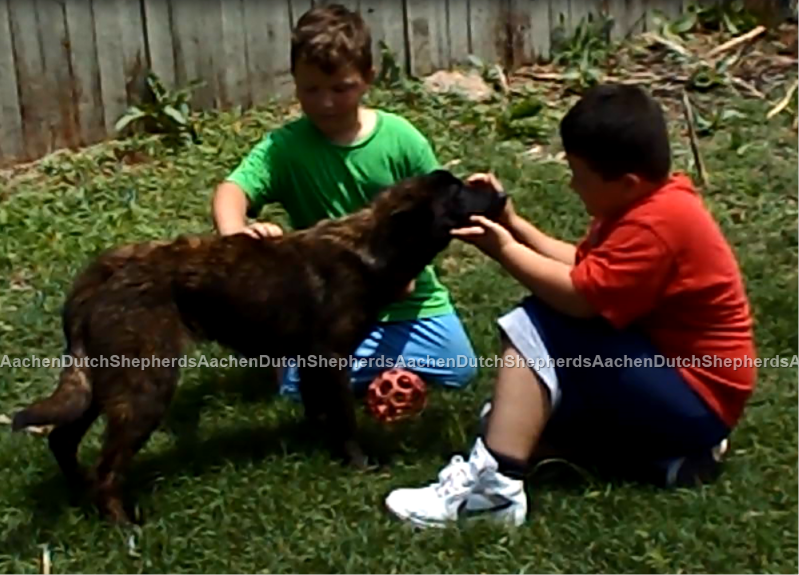 WATCH THIS VIDEO FROM TOP ANIMALS TV that we are in! 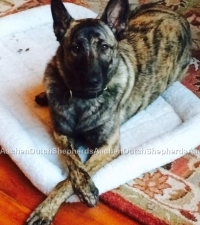 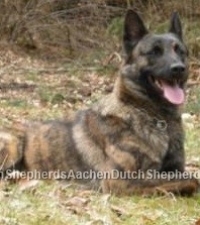 An educational video about the Dutch Shepherd breed, with Aachen Dutch Shepherds listed as a top and reputable breeder! 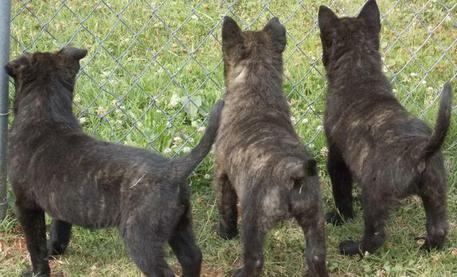 PUPPIES ARE AVAILABLE NOW! 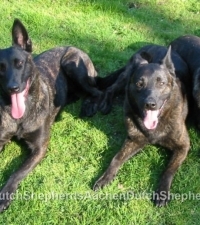 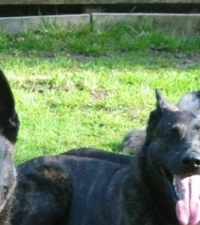 Who says Dutch Shepherds can’t be family dogs? 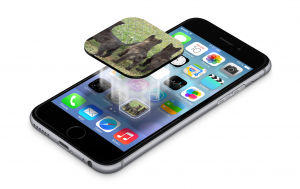 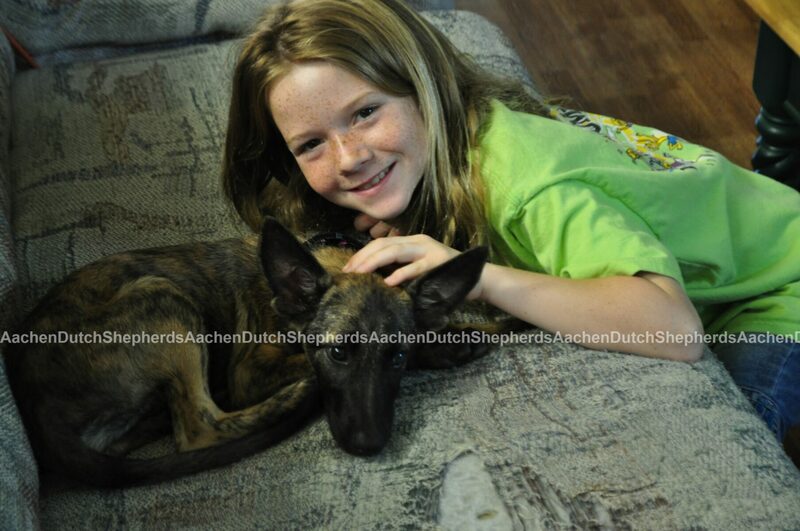 We and our already Aachen Dutch Shepherd puppy owners know they are! 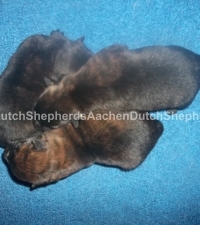 Here’s proof in the pudding as they say! We have placed many of our puppies with FAMILIES! 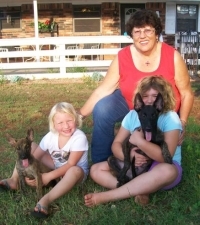 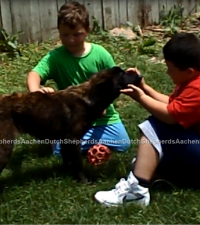 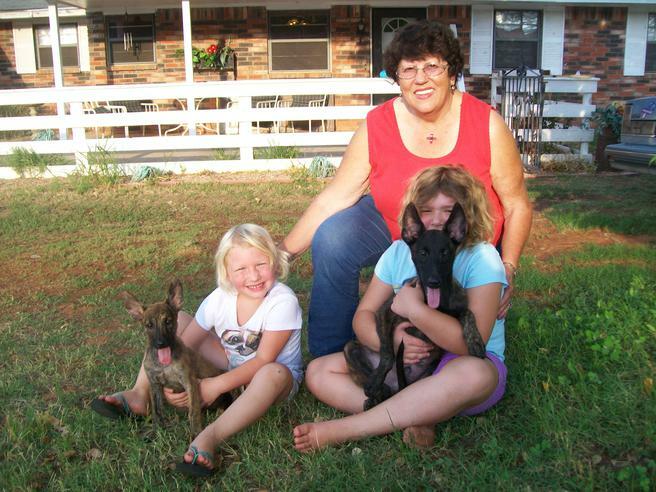 Here’s a family playing with some of our family friendly Aachen Dutch Shepherd puppies! 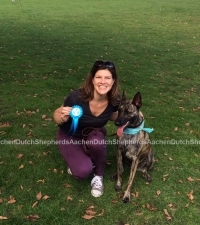 The FIRST Dutch Shepherd to achieve the AKC NATIONAL CHAMPIONSHIP as the 2018 AKC NATIONAL AGILITY CHAMPION is an Aachen Dutch Shepherd! 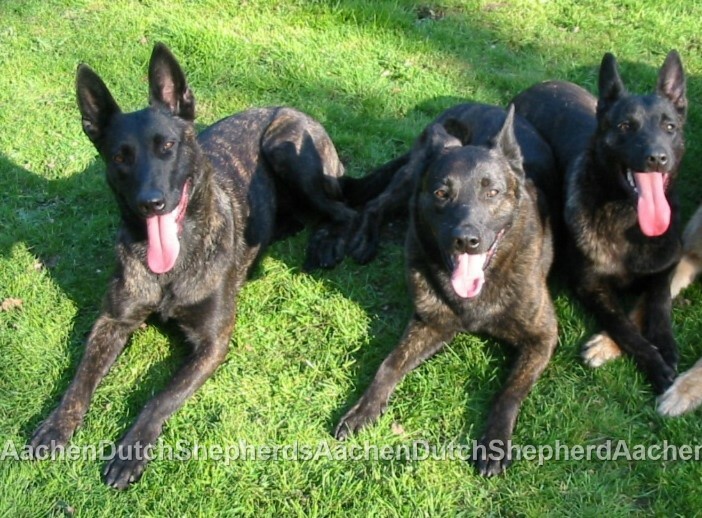 Another FIRST in a long history of success with all of our Aachen Dutch Shepherds~from families to US Government working dogs! 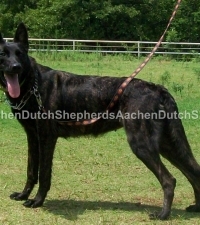 The #1 Dutch Shepherd in the Nation in AKC Agility, who competed at the 2013 Nationals, came from Aachen Dutch Shepherds! 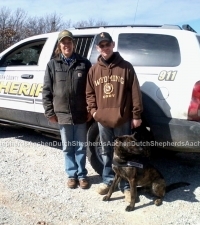 We couldn’t be more proud of their accomplishments! 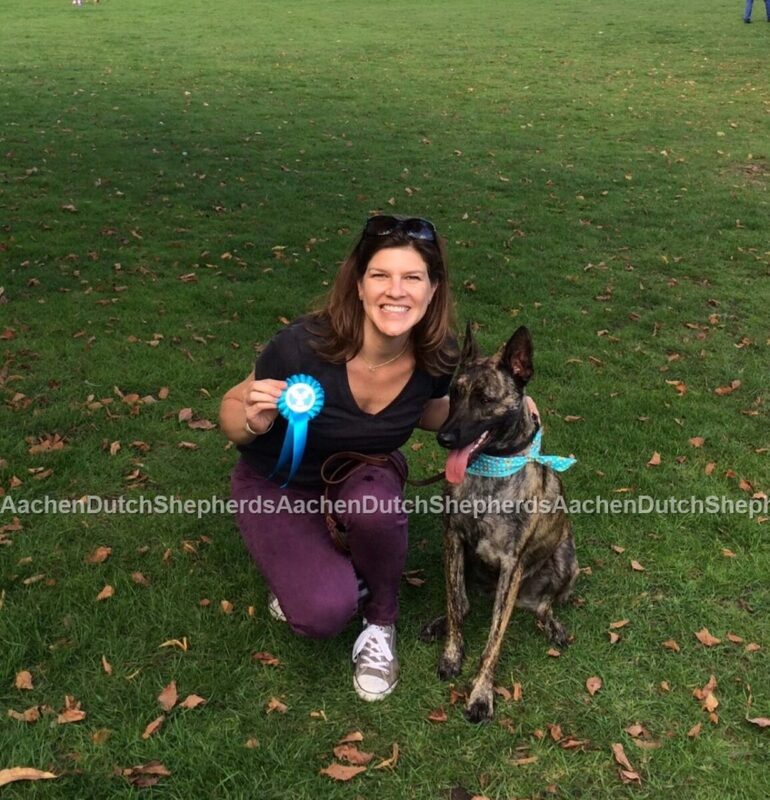 UKC CHAMPION Aachen Apache! 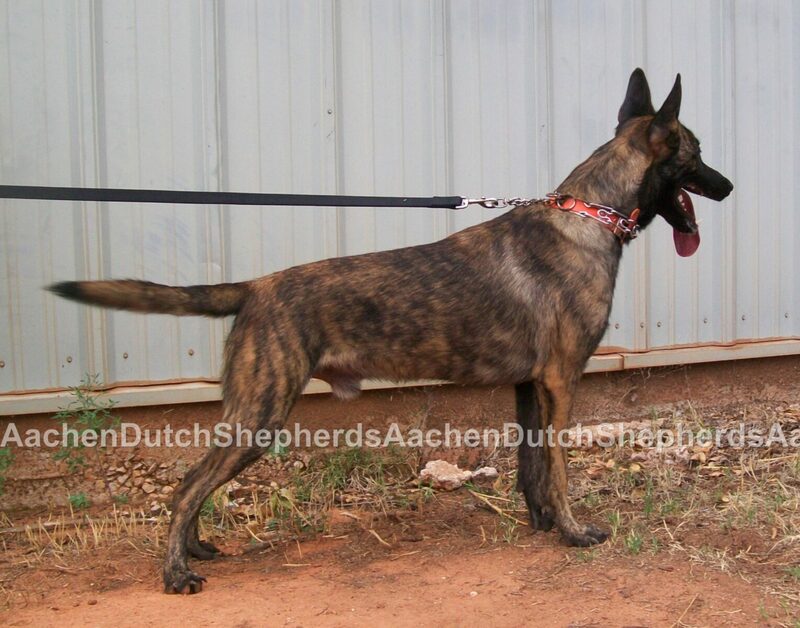 Finished and earned his CHAMPIONSHIP at the tender age of 10 months against already CHAMPIONED mature and/or different breed group WINNERS! 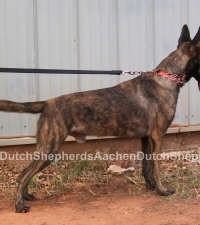 Plus he now also holds CHAMPION CERTIFICATES in both AKC and UKC for Rally and Obedience! 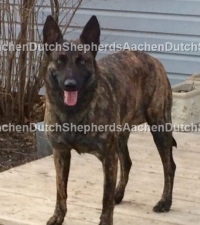 An Aachen Dutch Shepherd pup, owned by a police officer client who came here to get his pup, was on the cover of a the September 2012 Ray Allen Equipment Catalogue! 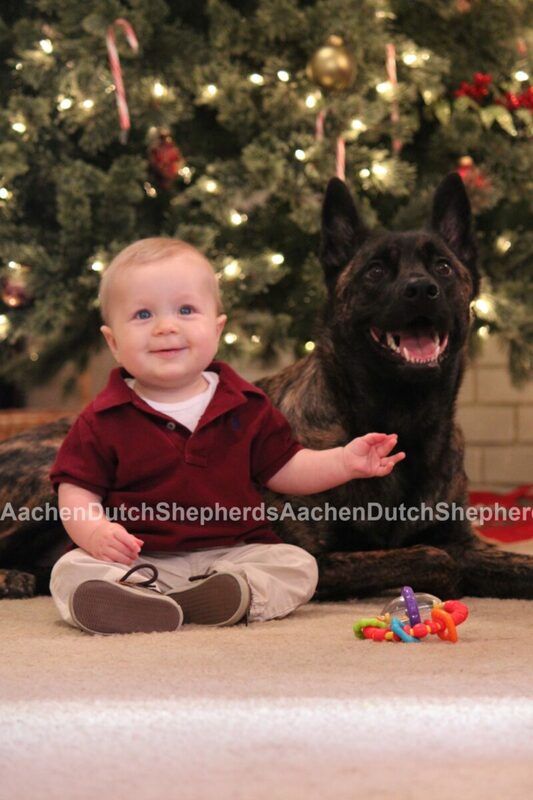 We couldn’t be more proud of their accomplishments! 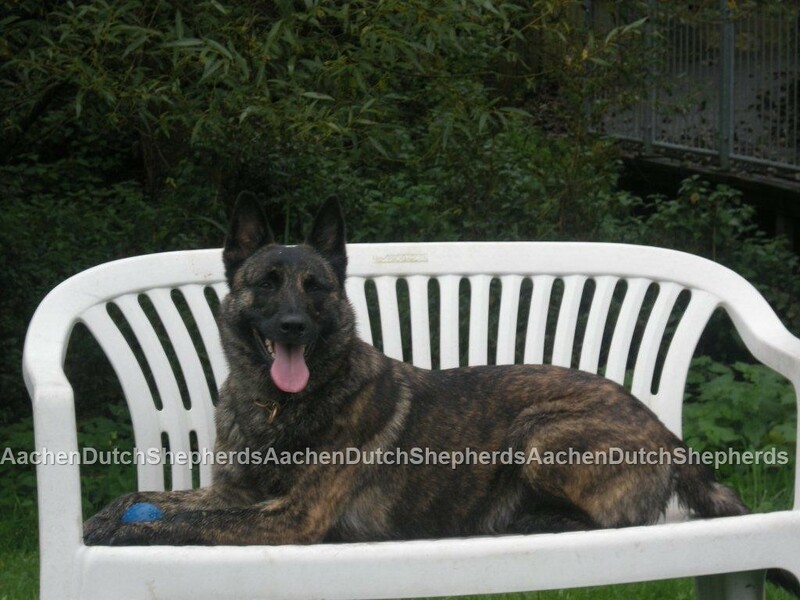 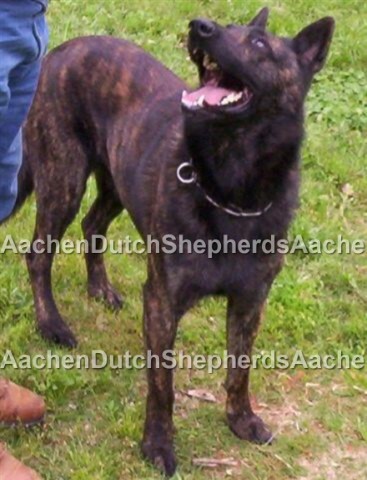 WE HAVE ANOTHER INTERNATIONAL FRONT PAGE COVER AACHEN DUTCH SHEPHERD! 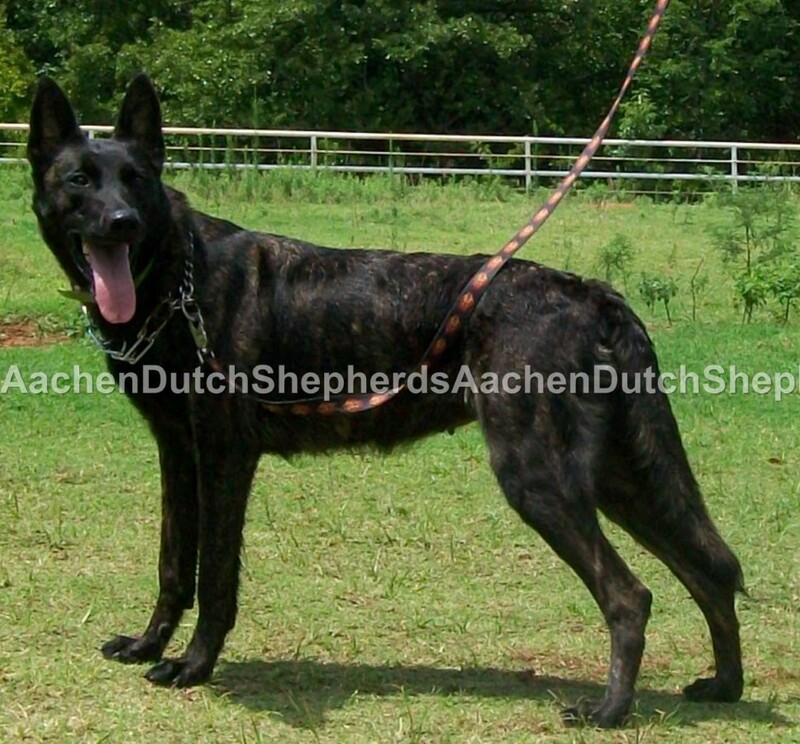 Featured on the HOME PAGE of the LEERBURG WEBSITE modeling one of their work harnesses! 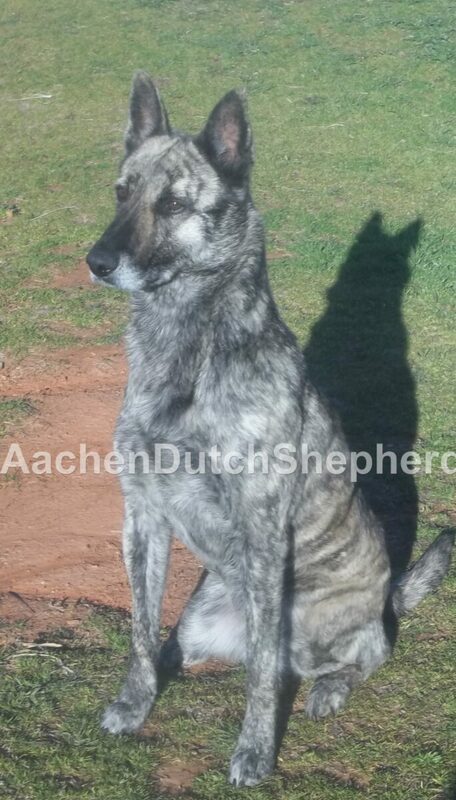 They just LOVED HER and her BEAUTIFULLY BRINDLED COAT and wanted her to model for them! 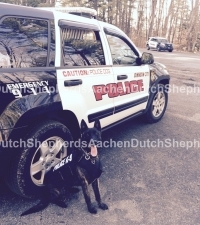 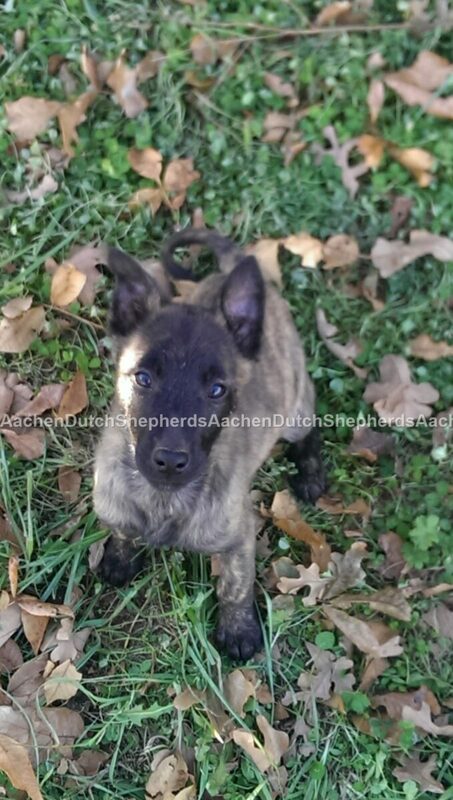 An Aachen Dutch Shepherd pup, was recently NATIONALLY certified for SAR. 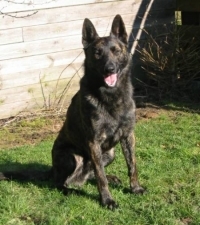 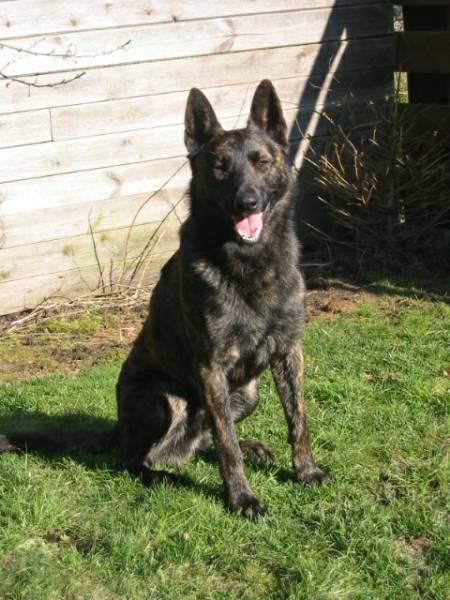 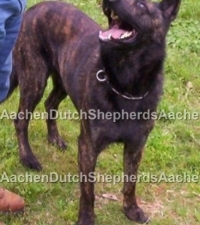 Of all the breeds and dogs presented, he was the only Dutch Shepherd, and one of only two that passed the rigorous testing. 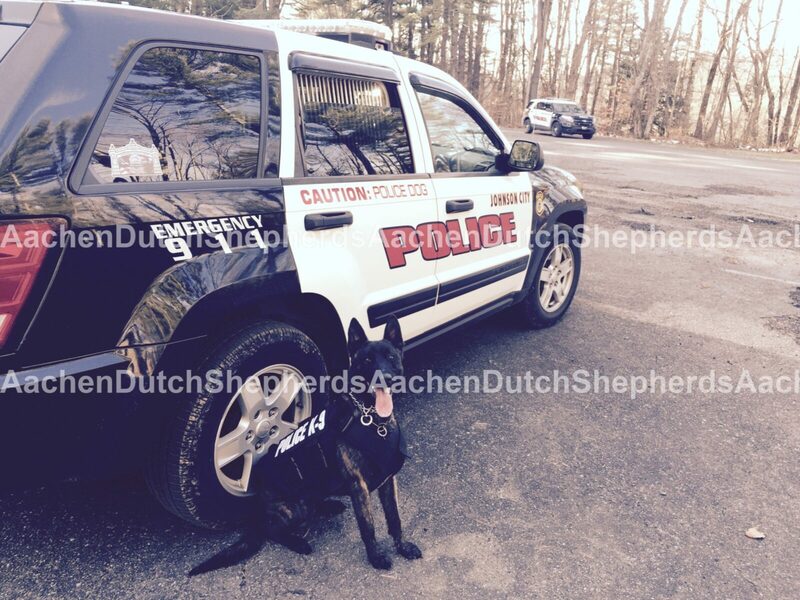 Needless to say, his owner, returned for a second pup from us for his wife to work. 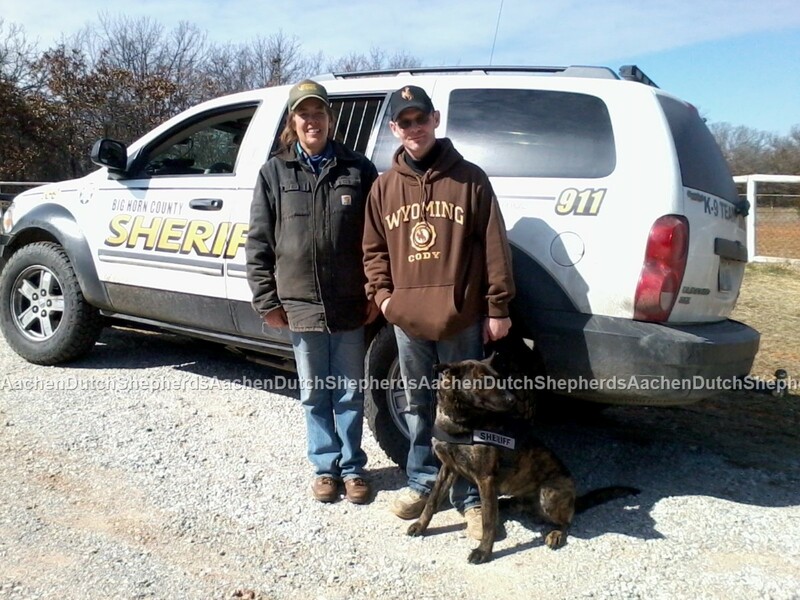 We couldn’t be more proud of their accomplishments! 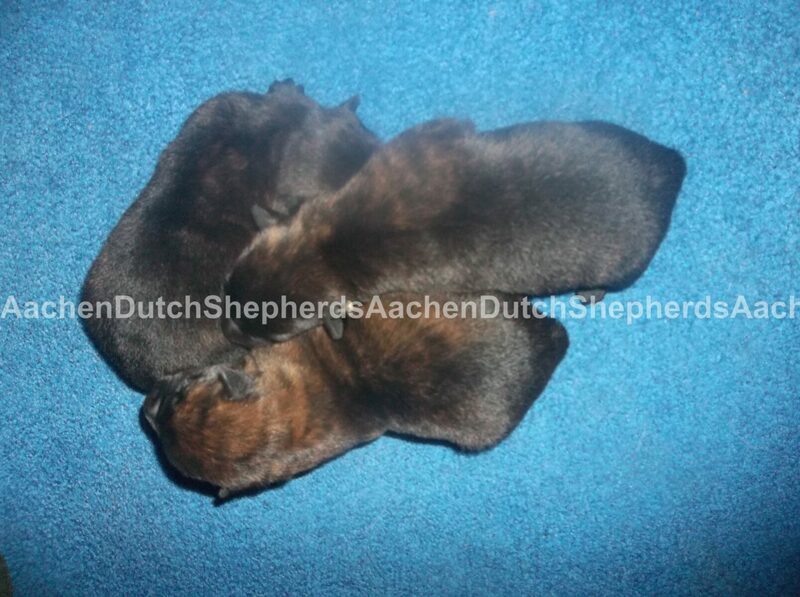 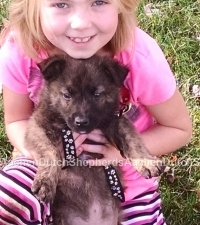 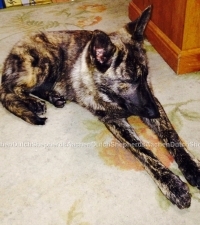 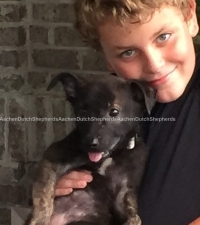 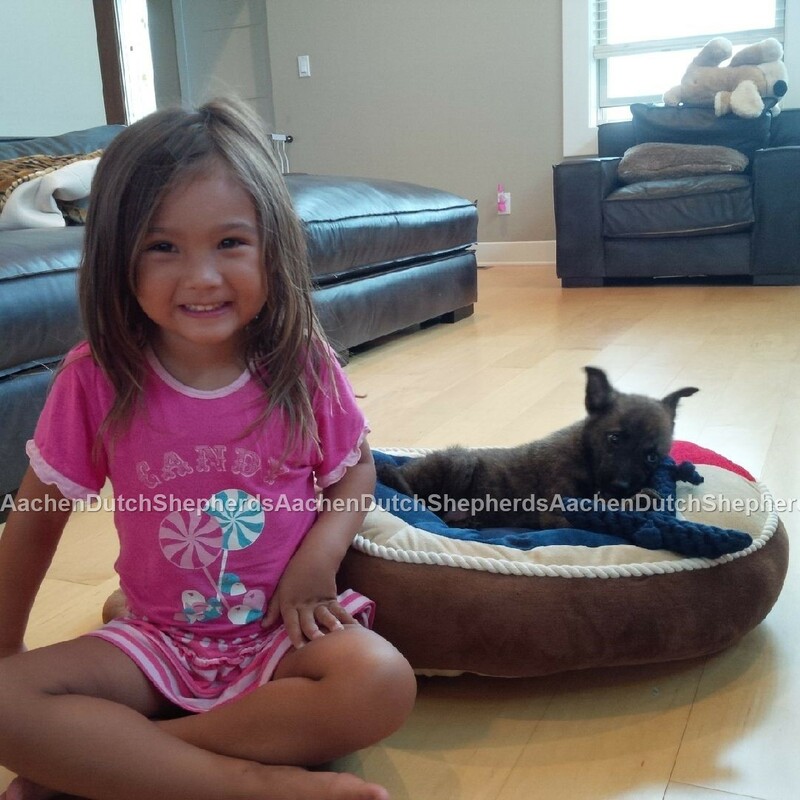 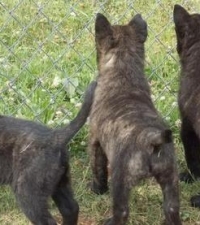 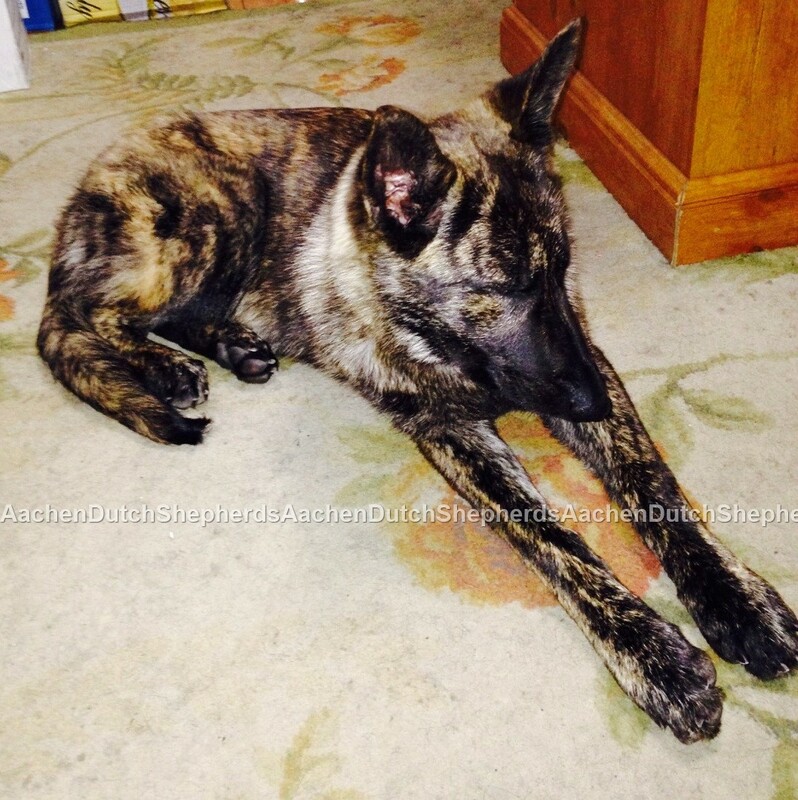 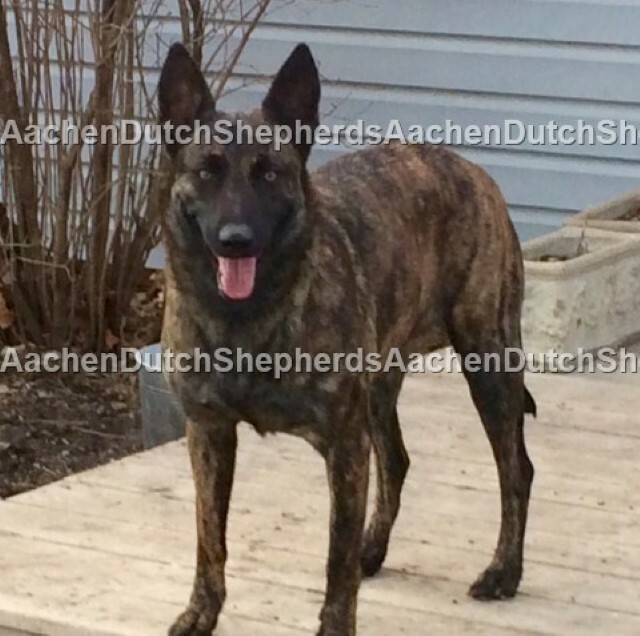 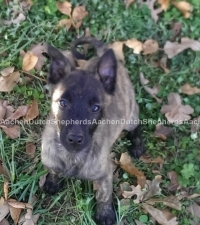 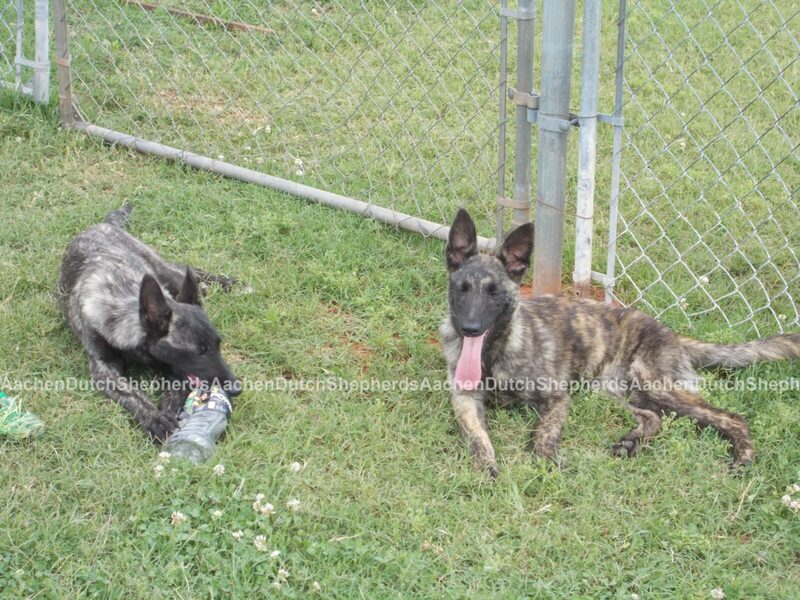 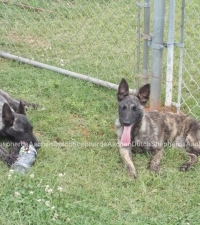 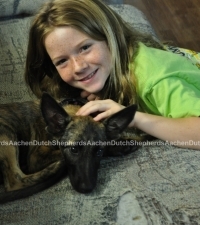 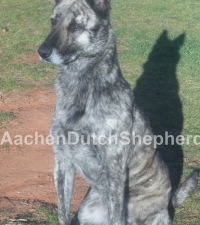 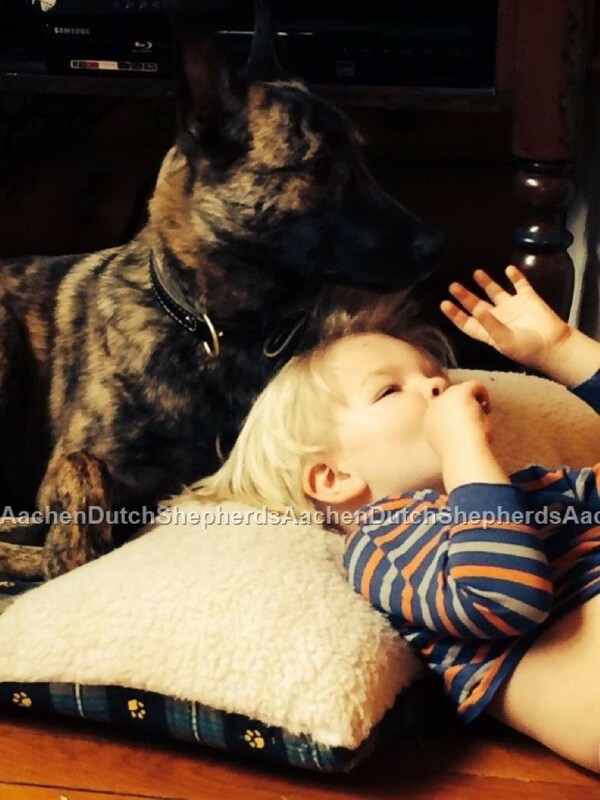 Contact us at aachendutchshepherds@yahoo.com or 405-899-4438 about YOUR Aachen Dutch Shepherd puppy! We feed and recommend the entire pet food and pet care line of products from Life’s Abundance. 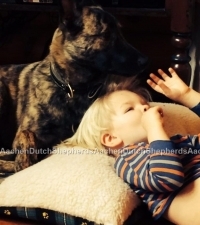 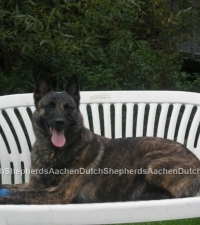 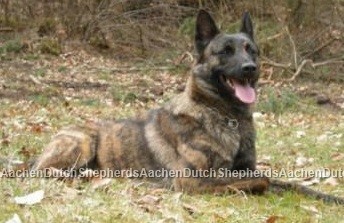 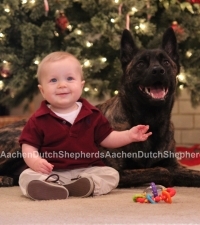 For complete information visit: www.lifesabundance.com/aachendutchshepherds or email or phone us!